Actor Sung Ji Roo showed special preference to Korean snack jjondeugi (a chewy licorice-type sweet). Recently, the behind the scene photos of Sung Ji Roo had been published on the official Lights and Shadows Twitter account. 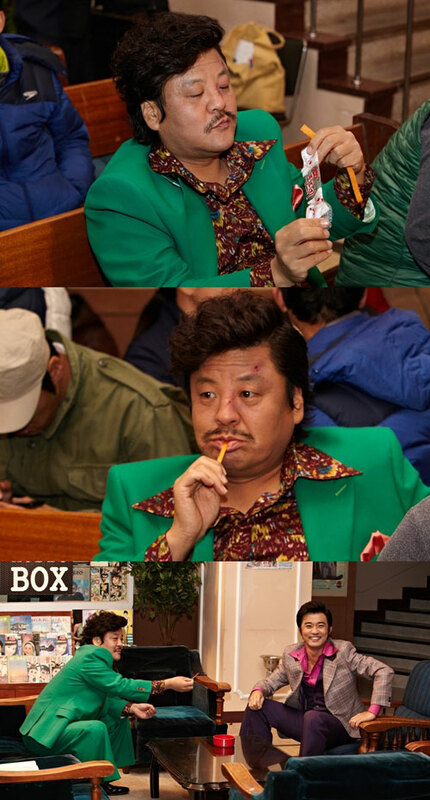 In the photos, Sung Ji Roo was seen as keeping the jjondeugi in his mouth, with his eyes looking at some other place. Other than that, he also advised Ahn Jae Wook to eat the jjondeugi, inciting laughter. Lights and Shadows which debuted on November 28th, 2011, is bringing back nostalgia of old fans and curiosity of younger generation through its fast plot development and gorgeous retro clothing of actors.